[S15] George Edward Cokayne, editor, The Complete Baronetage, 5 volumes (no date (c. 1900); reprint, Gloucester, U.K.: Alan Sutton Publishing, 1983), volume II, page 32. Hereinafter cited as The Complete Baronetage. [S6495] Penelope Powell, "re: Wingfield Family," e-mail message to Darryl Roger LUNDY (101053), 7 January 2013. Hereinafter cited as "re: Wingfield Family." [S163] Ashworth P. Burke, editor, Burke's Genealogical and Heraldic History of the Peerage, Baronetage and Knightage, 75th edition (London, U.K.: Harrison and Sons Ltd, 1913), page 1913. Hereinafter cited as Burkes Peerage and Baronetage, 75th ed. Child of Rebecca Wildash and Sir Roger Twisden, 6th Bt. [S15] George Edward Cokayne, editor, The Complete Baronetage, 5 volumes (no date (c. 1900); reprint, Gloucester, U.K.: Alan Sutton Publishing, 1983), volume II, page 32, says Elizabeth. Hereinafter cited as The Complete Baronetage. [S15] George Edward Cokayne, The Complete Baronetage, volume II, page 32. [S15] George Edward Cokayne, The Complete Baronetage, volume II, page 31. 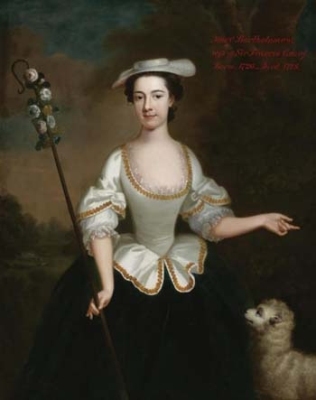 Child of Elizabeth Geary and Sir John Papillion Twisden, 7th Bt. [S15] George Edward Cokayne, editor, The Complete Baronetage, 5 volumes (no date (c. 1900); reprint, Gloucester, U.K.: Alan Sutton Publishing, 1983), volume II, page 31. Hereinafter cited as The Complete Baronetage. Sir Francis Geary, 1st Bt. 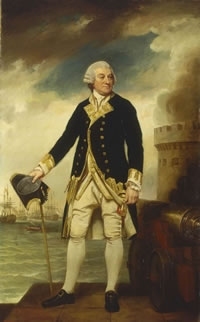 Admiral Sir Francis Geary, 1st Bt. was born in 1709. He married Mary Bartholomew, daughter of Philip Bartholomew.1 He died in 1796. He gained the title of 1st Baronet Geary. Children of Mary Bartholomew and Admiral Sir Francis Geary, 1st Bt.